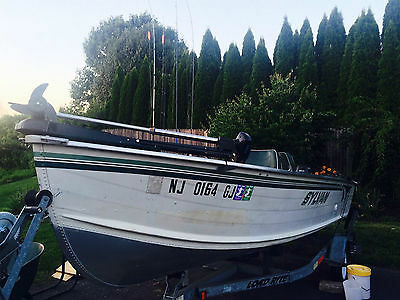 This boat is in great condition, just got back form fishing trip, holds 5 people, motor is a 115 and it plenty quick, it has an on board charging system , new batteries, large live well with an automatic aerator, trolling motor with fish finder, also fish finder on dash, very easy on fuel, comes with trailer which is a roller trailer, easy to load and unload, electric wench for loading. 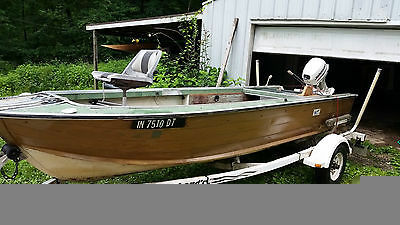 Motor was 100% rebuilt, Needs 20 hour break in period.Stern Drive was refurbished and painted.Anti foul paint was applied to bottom of boat.All interior wood was replaced and new marine grade vinyl was added.All new dash gauges.Auto Pilot.A new custom boat cover was made for this boat.The trailer was sand blasted, primed and repainted, I put 2 new tires on the trailer, new bearings and seals, bearing buddies.Their are 4 down rigger mounts on back of boat.Numerous rod holders and many extras.Pictures before and after avaible. "TURN KEY FISHERMAN'S BOAT" Located in Central New Jersey. Aluminum hullFreshwater fishing (Round Valley, Spruce Run)Winterized every yearSeats 59.9 Hp Suzuki Electric motorNew batteriesPop-up canopyElectric Fish Finder All lights functioning Fish storage compartmentsDown-riggerExtra handheld boat motor Includes:trailerfishing poleslife preservers --- I'm willing to help with coordinating the shipment of this boat to your location. 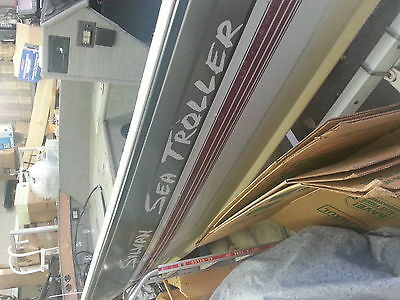 must sell 16 foot sylvan alum, comes with foot control trolling motor in the front, and trolling motor in the back. 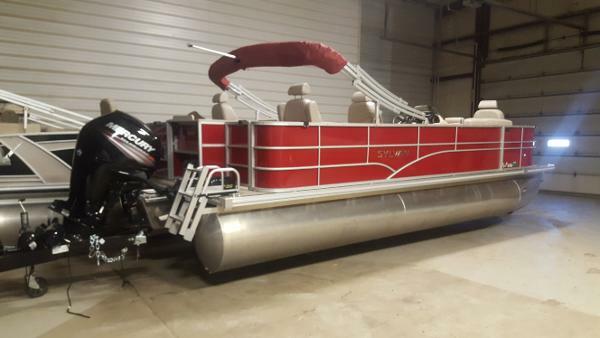 live wells - airators - rod storage - fish locator - radio - 70 hp evinrude that does not run, needs crank bearings and rist pin bearings which I have bought. other than that the motor ran. boat was bought from a friend of mine who was the original owner. 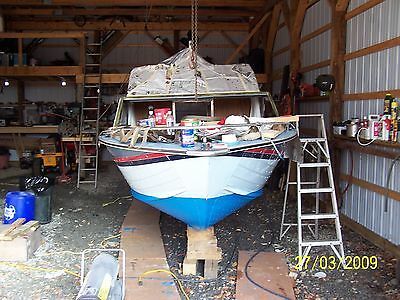 boat was only used 2 weeks a year for vacation and kept in the garage the rest of the time. trailer is like new, tires VGC , spare brand new. 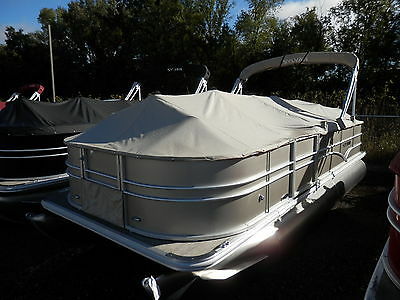 1993 Sylvan Pontoon 20' Fishing, Boat, Engine, and Trailer included in price. Kerr Lake and Lake Gaston only. 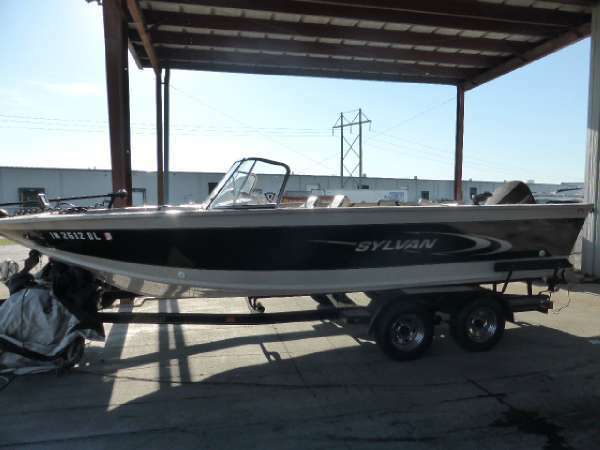 2009 Sylvan 1700 Explorer SC Sylvan 1700 Explorer Side Console powered by a Mercury 90 Horsepower 2 stroke outboard. This comes with a fishfinder and a trailer. 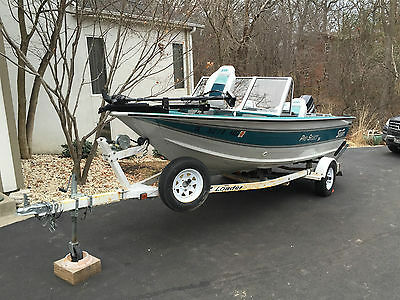 Clean freshwater boat that has never been used in saltwater! 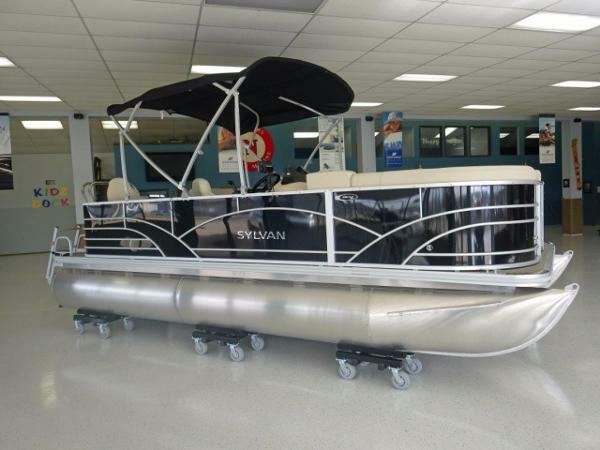 2016 Sylvan Mirage 8522 4-PT Just in! 2016 Sylvan Mirage Fish 4 PT w/ Tandem Axle Trailer Powered by Mercury's 115hp Four stroke Command Thrust engine this model is ready to get you to your fishing spots or just cruise all day! 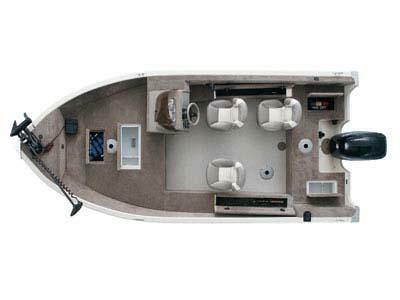 With the extra comfy fishing seats on the bow and stern you'll never want to leave the water. Some of the other options on this model are: 2 Minnkota Deckhand power anchor's, Play Pen Cover, Humminbird Helix 7, AM/FM USB Stereo, Live Well, Fish Table, Rod Storage, Vinyl Flooring, Bimini Top, and more! Stop in today or contact us to get on the water and start catching some fish with this model or one of our many in stock new or used models!